We experience architecture dynamically. Our understanding and appreciation of buildings evolves and changes as we move around the buildings and within them. 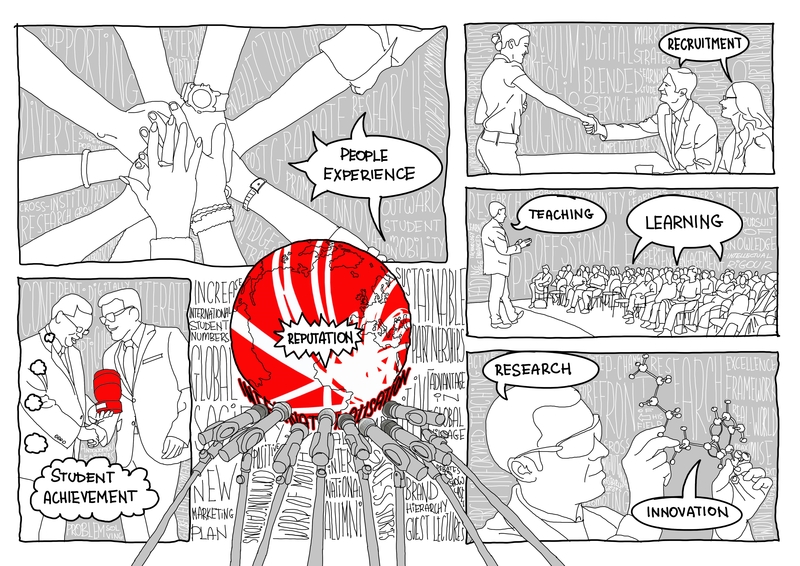 As Director Ian Pratt explains here, this is particularly true of The Spark at Southampton Solent University which was specifically designed with interaction and the science of people movement in mind. The completion of The Spark in May 2016 marked the culmination of an incredibly rewarding, four-year journey to identify, inform, illustrate and deliver Solent’s vision for teaching and learning. The project was conceived as an academic hub and a showcase for excellence in learning, teaching, research, innovation and student achievement. As a vehicle for institutional change it has totally transformed the student, staff and visitor experience. The design skilfully brings together spaces for learning, teaching, work and play It promotes interdisciplinary activity and collaboration by encouraging students, academics, visitors and the general public to mix and interact. 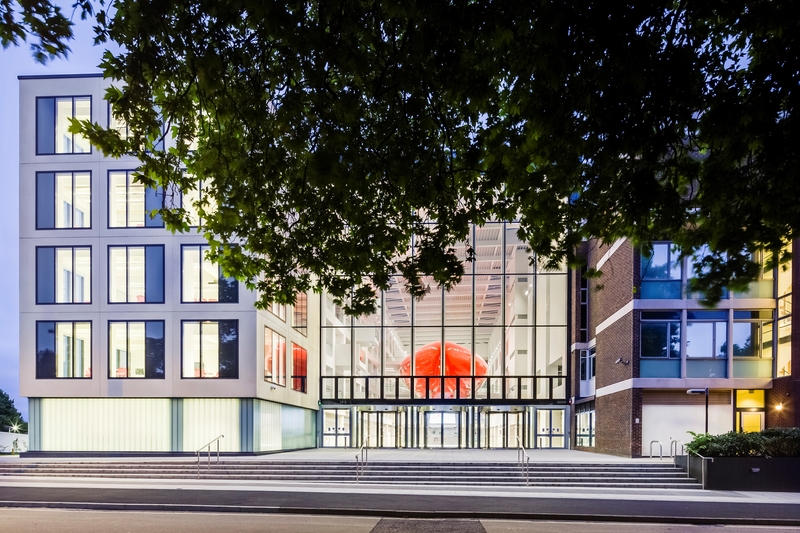 Accommodation is arranged over seven storeys around an impressive, full-height atrium space with a stunning ‘Solent Red’ pod at its centre and a high definition digital media wall at the far eastern end. 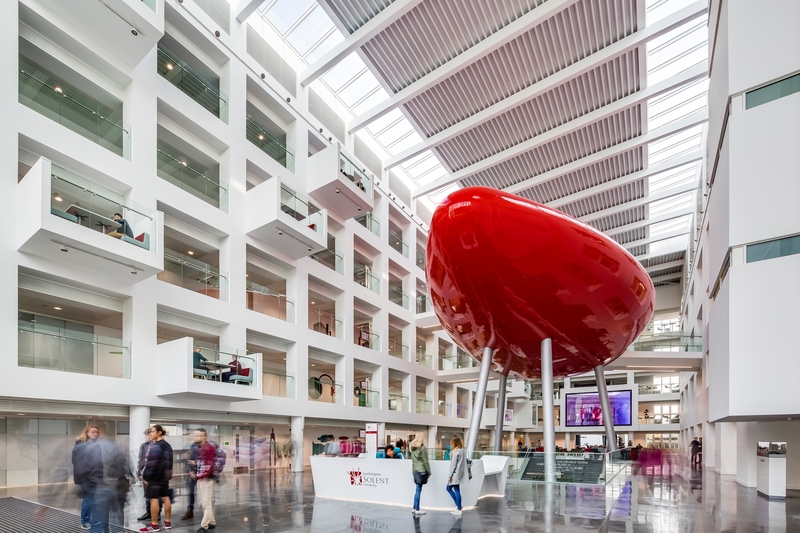 “The building’s huge, attention-grabbing central atrium has brought a genuine, wow factor to the campus, and will enable us to strengthen our connections to local and regional businesses and community organisations through exhibitions, conferences, events and social functions.” Professor Graham Baldwin – Vice-Chancellor – Southampton Solent University. The atrium connects new facilities to the north with the existing Sir John Everett Millais Building to the south and functions as a major arrival space, social learning area and a venue for large events such as gala dinners, exhibitions, fashion shows - previously, there was no significant congregational space on the campus for this. Overall, this £33 million, 10,000 sq m, BREEAM ‘Excellent’ rated, city-centre development provides Solent with a ‘mixed economy’ of innovative, centrally timetabled, general teaching and learning spaces comprising 35 classrooms, 5 lecture rooms, 2 lecture theatres, along with a café, conference centre, kitchen, fine dining and bar area. The Spark is activated by people flowing through the spaces, by their interactions with each other and with elements of the building. Individual and collective experiences differ from day-to-day and from day-to-night. The atrium and surrounding spaces are enriched by ambient light introduced by the long linear roof-lights which from time-to-time reveal clouds passing by on the prevailing south westerly breeze. Eye-catching sunlight and shadow patterns animate the atrium walls and the glazed main entrance ‘brings’ the Grade II Listed East Park ‘into the building’ – connecting occupants to the outside world and to the passing of the seasons. Movement of the trees, people in the park and atrium are reflected in the high gloss finish of The Pod which appears to glow red at night as light emanates from the building. The design uses transparency and openness to promote movement and to encourage people to see and share learning and teaching experiences, knowledge and research. To aid user orientation and way-finding, key destinations are visible from the atrium and between floor levels. Circulation arrangements are clear, simple and on show. The upper floor level horizontal circulation routes are designed as open gallery walkways with glass balustrading - linked vertically with an open feature staircase. This arrangement further animates the atrium with people movement, maximises natural light penetration, the sense of space, openness and connectivity and ensures good passive surveillance of all areas. It is only by moving around The Spark that it is possible to fully understand and appreciate the nature and synergy of the different elements which give the building its dynamic, engaging and uplifting character. Moving inward from the main entrance, building users are offered changing views of key elements such as The Pod, the theatre steps leading to the podium level lecture theatres, the bridges, the upper floor balconies and ‘window-boxes’ and fleeting glimpses of the ‘super-graphics’ beyond-the pristine white screen walls. In contrast, building users walking along the upper floor levels’, open gallery walkways are able to examine The Pod in closer detail, gain an overview of activities within the below atrium and look out over the tree-tops in East Park to the Civic Quarter beyond. All the while, moving images on the large HD digital media wall add to the sense of activity and interaction and provide insights into the full academic life of the university. The Spark celebrates and strengthens the relationship between Solent and the City of Southampton. The design echoes the quality, scale and sense of permanence imbued by nearby civic buildings such as the Guildhall but is also welcoming, ambitious and dynamic. Floor- to- ceiling windows to the north and east provide a sense of openness, reveal movement and activity and create a strong visual connection between building users within and the wider public outwith. The glazed main entrance addresses the Grade II Listed East Park and reactivates and energises East Park Terrace throughout the day and into the evening. This reinforces the ideological integration of the university and helps to increase pedestrian movement along East Park Terrace and through East Park - with significant pedestrian safety and security benefits. The design resolved major level differences to achieve comprehensive barrier-free access to new and existing facilities. Importantly, it also significantly improved access to passenger lifts, staircases and sanitary provisions from within the existing building. Within The Spark, individual spaces are designed with wheelchair users in mind, featuring height adjustable tables which have been seamlessly blended throughout. As a result, The Spark is believed to be one of the most universally accessible buildings in the sector. The Spark can accommodate 2,600 people at full capacity. However, the facilities are used by all 5 of Solent’s schools, resulting in a higher proportion of use by the 10,000+ (full time equivalent) students most days. This meant the design had to be able to cater for very large movements of people between timetabled teaching and learning periods. With this in mind, Scott Brownrigg commissioned Buro Happold’s SMART Space team to assess the evolving design with a particular focus on how the proposed horizontal and vertical circulation arrangements might perform during normal timetabled operation and how the design might be optimised. This input proved to be highly beneficial and has resulted in a building that is both highly efficient and congestion-free when used at maximum capacity. The assessment comprised of data gathering, then - studies to identify ‘pinch-points’, - together with full agent-based, dynamic modelling of different scenarios utilising Scott Brownrigg’s Level 2 Building Information Model (BIM) and Buro Happold’s SMART Move software. This approach facilitiated rapid analysis of potential design refinements. The assessment activities were undertaken in dialogue with members of the Scott Brownrigg team and considered activity patterns and people flow rates associated with three ‘peak pressure’ scenarios - morning arrivals, class changeovers and end-of-day departures. Possible queuing of students outside the classrooms (prior to lecturer arrival) is considered in the modelling. For each ‘peak pressure’ scenario, it was assumed that 100% of the students would use the staircases for vertical movement – an unlikely worst case assumption that discounted the three passenger lifts. Assessment findings and recommendations were presented in a series of written reports, illustrated with visual density maps along with animations exported directly from SMART Move. The assessment also endorsed the proposal to add a range of gallery, balcony and ‘window-box’ break-out spaces to the upper floor level gallery walkways. However, The Pod’s shape and position is intentionally ambiguous, allowing building users and visitors to draw their own conclusions about its purpose and meaning. “When people walk through the door they stop very abruptly, look at the Pod and simply say wow.” - Professor Graham Baldwin – SSU Vice-Chancellor. Some view The Pod as an expression of Solent’s maritime heritage, others see a futuristic craft from another world, and some feel it resembles the seed of the Saga Bean Tree – given as a symbol of love in China. Stepping inside has even been compared to boarding a submarine – “with the doors closed, the acoustic separation is so good you feel like you’re under water”. Whatever the analogy, the important point is that this distinctive sculptural element elicits an emotional response. On a daily basis, people are engaging with it and pausing for thought or perhaps a photo or two as they move around and within The Spark. 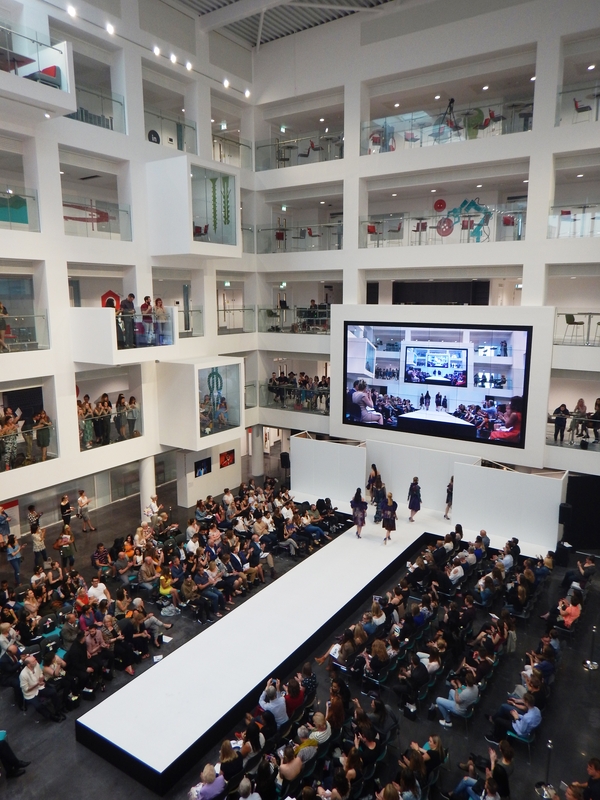 The University is delighted with the building which is enhancing Solent’s brand and position, helping to attract students in what has become a highly competitive recruitment market ODY TEXT.